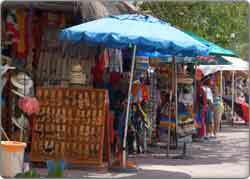 Playa Del Carmen is famous for its deep sea fishing. But there are some excellent fly fishing spots all around Playa Del Carmen. In the crystal clear saltwater lagoons there are a wide variety of fish to be caught, like tarpon, permit, bonefish, barracuda, and jack. 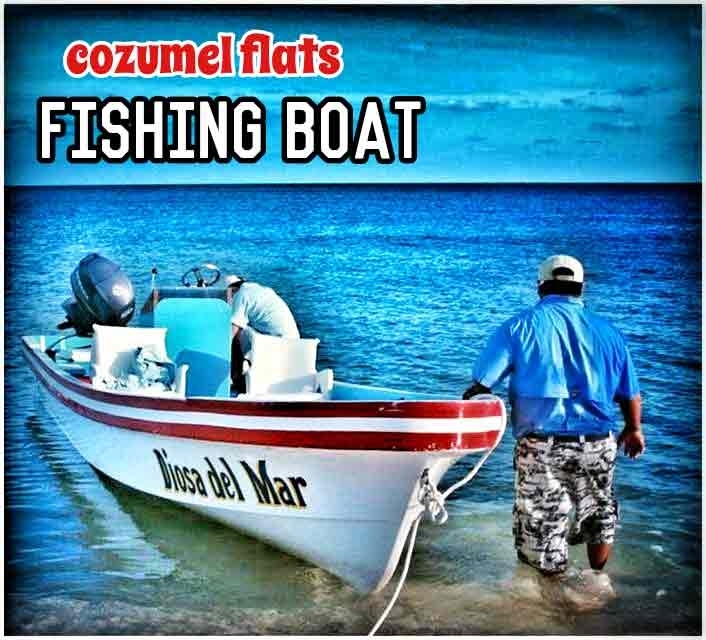 From Playa Del Carmen it’s just a short boat trip to the famous Bocapaila flats and Ascension Bay flats. Check out some of the locals who know these waters. They might look like kids and can hardly speak English, but their whole education seems to have been based on fly fishing. They can see fish, when everyone else just sees water. 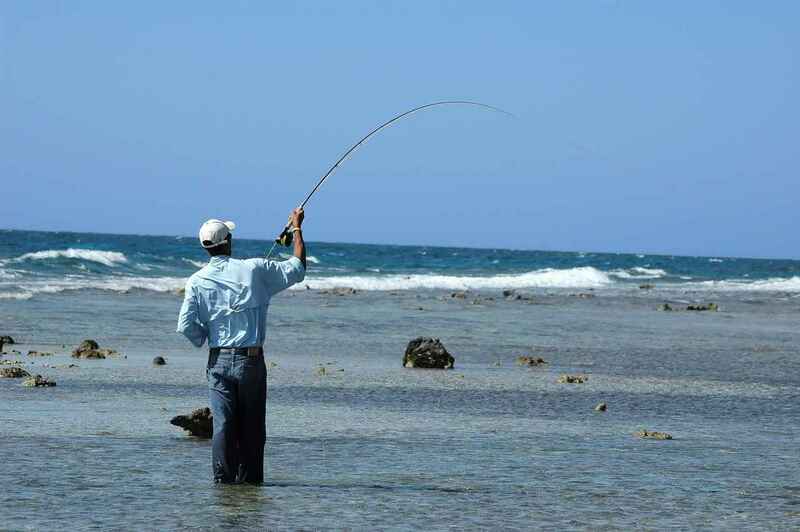 Read on for the different challenges available when fly fishing in Playa Del Carmen. What Fish Can You Catch In Playa Del Carmen? 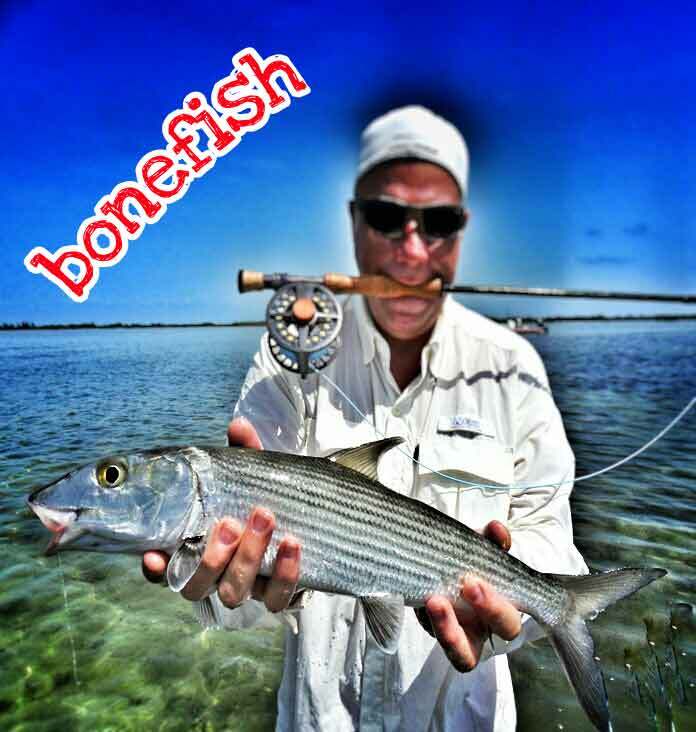 Bonefish are abundant all year round and are always looking for an easy meal. So you’re going to catch more than you can remember. Guides always start beginners on schools of small bonefish until they get used to the waters and techniques. 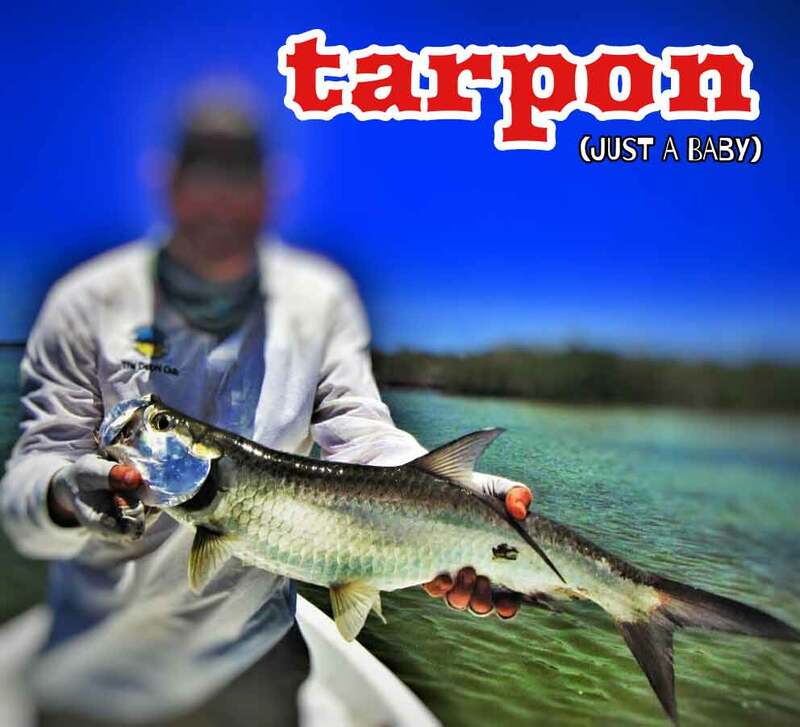 Tarpon are trickier and are known for their violent jumps out of the water. Challenging and exciting, these fish often provide the most memorable moments. 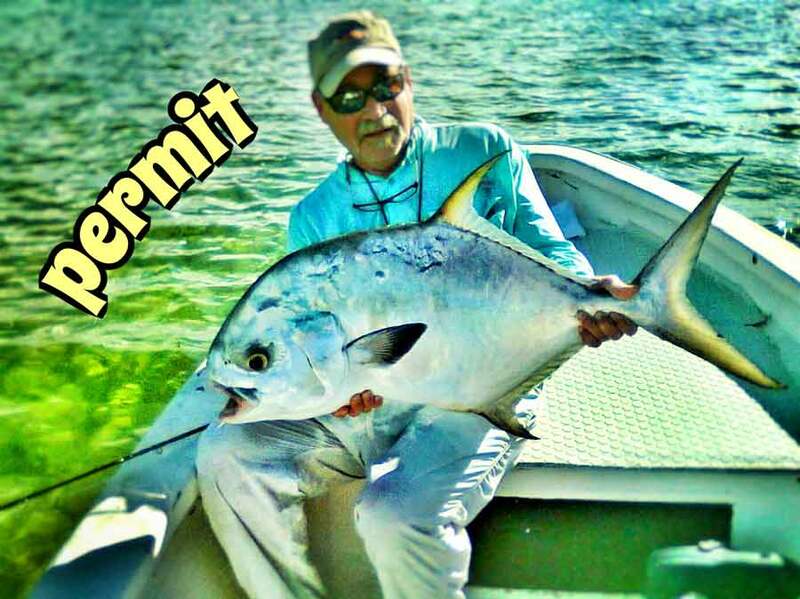 Permit are very clever and the ultimate challenge for fly fishers in Playa del Carmen. The highest honor for an angling guide is helping an angler to the grand slam of bonefish, permit, and tarpon in one day. Barracudas whiz around like maniacs and are one of the most fun fish to catch. They’re not easy, but angling was never supposed to be easy! A man in a boat holding a permit fish that was caught by a fisherman near Cozumel. A man holding a snook fish in his hands caught near Playa Del Carmen. A man holding up a beautiful bonefish that he caught while flyfishing near Playa Del Carmen. Because his hands are full, he is holding his flyfishing rod and reel in his mouth. Where To Go Fly Fishing In Playa Del Carmen? Depending on the weather and your preferences, there are different fly fishing spots. The Boca Palia flats are known for their bonefish and permit populations. Many flats anglers have never landed a permit, but in these waters it’s common to catch 2-3 per week. Ascension Bay is further away, but these waters are famous across the world and you can find every one of the Caribbean flats fish. Sometimes the winds can really rip across the peninsula, so the guides will head to protected flats and lagoons. At some spots it’s easy to wade into the shallows and literally fill your boots. In others a small skiff ensures you’ve got a chance at each of the species on your checklist. With the different destinations there are a range of ocean side flats, open flats, and mangrove lined creeks. These waters have been featured regularly in US fishing magazines like American Angler and Saltwater Sportsman. And those guys know what they’re talking about. 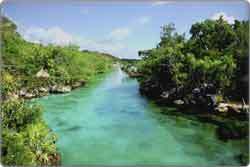 When To Go Fly Fishing In Playa Del Carmen? Unlike other fishing destinations in the Caribbean, fly fishing is possible all year round in Playa del Carmen. For bonefish and barracuda conditions are excellent from February to November. If you want the challenge of Permit and Tarpon you can seriously increase your chances by coming in the peak seasons of May to October. Snook are infrequent visitors and these aggressive fish have a different season – November to January. It is possible to journey out to the Boca Palia flats and cast your rod. But it could be a frustrating day. The locals have been fishing here since they were old enough to walk, and most anglers choose a local guide and boat package. Guided trips are usually for two people and include the skiff, lunch, a few drinks, and 1 rod with reel per person. Usually trips will have one guide and one apprentice who both have expertly trained eyes. This also means that each person gets some dedicated help. A full day trip will cost around $300 – $400 USD per boat that you rent. Also, don’t forget to include transportation. Terminal tackle like leaders, flies, jigs, lures, etc… is extra. A full day is usually 8 hours. But if there are lots of fish around, the guides are never looking at their watches. As passionate anglers, they’ll keep fishing until there’s nothing left. It’s good practice to tip the guide and his assistant. How much? Well that depends on how many fish you catch? If you land the grand slam then you’ll appreciate just how much of a role your guide played. In my relentless quest to find the best fly fishermen in the area, I ran across someone special. I met him when a visitor contacted me regarding the best fly fishing in the area. I felt obligated to reply. Thus, I searched and searched for a person that would not disappoint. After making a number of calls, sending several emails, and talking to some of the local fisherman at the docks about fly fishing, I found Carlos – Carlos Vega, to be precise. He’s lived AND FISHED in the Riviera Maya ALL HIS LIFE! He’s been offering fishing excursions in the area for 36 years (with 25 years fly fishing experience) and is widely respected as an expert angler. 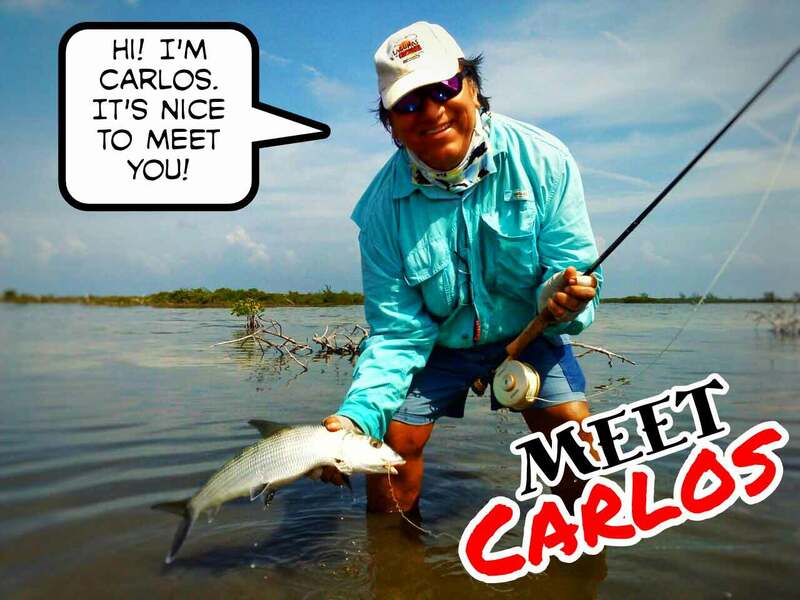 Carlos has fished in Ascension Bay, Holbox, Isla Blanca, Costa Rica, Belize, and other places. If you’re looking for an excellent fly fishing experience in the Playa Del Carmen area, he’s your man. NOTE: MESSAGES SENT FROM THE FORM BELOW ARE AUTOMATICALLY FORWARDED TO CARLOS. Why Fly Fishing And Not Deep Sea Fishing? 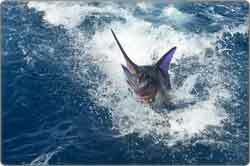 Most anglers head to Playa Del Carmen with grand ideas about deep sea fishing and landing some massive Marlins. They usually ignore that it’s also one of the world’s top fly fishing destinations. If you think you can fish just check out the locals. Their eyes seem to have specially evolved just for these waters. 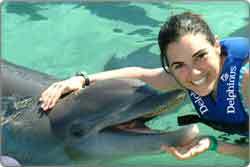 The challenge of the different species means this can be a half day, full day, day trip, or a multi-day obsession when you visit Playa del Carmen. And when you catch some great fish, please make sure that you send me a picture! My wife and I are coming from the UK and are staying at the Iberostar Quetzal from 23 September for two weeks. 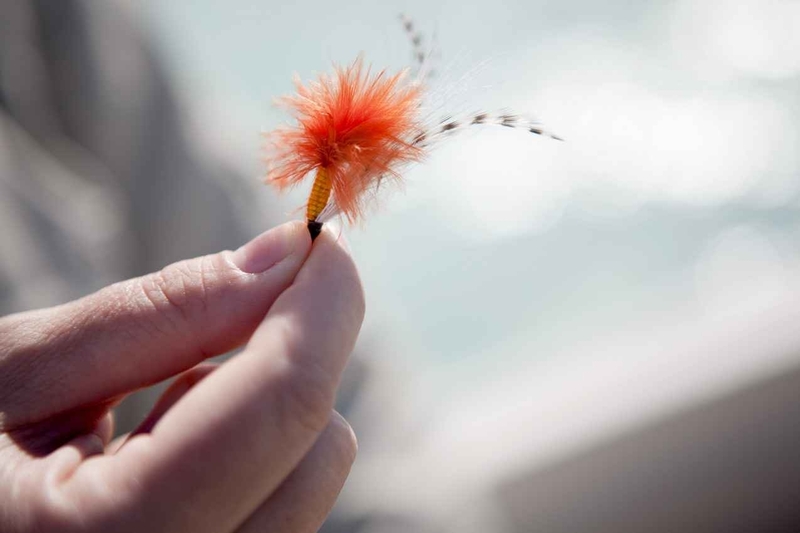 I am a very experienced fly fisherman and have demonstrated fly tying all over the UK, Europe, U.S.A. and Kenya. I have never done any salt water fly fishing and would love to try it. I have not got any salt water fly fishing gear, so would have to hire it. Can you please help me and let me know what the costs will be. I will be able to tie my own flies, if you can suggest what I will need. Look forward to hearing from you and thanking you in anticipation. Congrats on your experience tying flies! It sounds like it has led you to some interesting adventures around the world! September is a little slow here, but there’s always something to do, so I’m sure you won’t get bored. 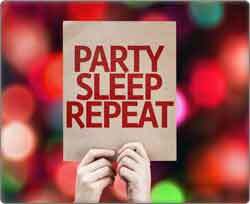 If you are looking for some entertainment while you’re here, check out my new Events Calendar. 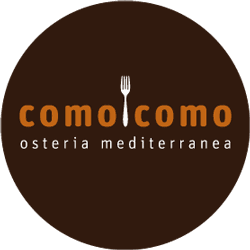 It lists some of the daily/weekly specials and things to do around town. In regard to fly fishing, I found out some interesting information. Although I think there are several companies that offer fly fishing tours, there were two that caught my eye: Aquarius Fishing and Pesca Maya. Pesca Maya is quite far away (60 minutes by car; it’s close to Tulum), but Aquarius is on Cozumel Island (right across the bay). Also, I called both places. 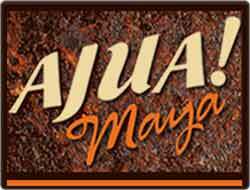 Aquarius answered their phone; Pesca Maya did not answer at all (except by email). Aquarius fishing offers two different types of tours: a six-hour tour, and a full-day tour. The full-day tour lasts eight hours and includes lunch. The six-hour tour does NOT include lunch. The six-hour tour costs $330 USD. Conversely, the eight hour/full day tour runs $415 USD. (NOTE: This includes mandatory fishing licenses for both you and your wife.) If ONLY YOU are going, the price will be $15 USD LESS because of your wife’s license. If you want to upgrade to a better rod/reel, there is a $30 charge for that. Moreover, you also need a ferry ticket. That’s right, you will need to get to Cozumel. The boat ride officially takes 45 minutes. However, it usually arrives in 30 or 35 minutes. The tickets are around $10 USD EACH WAY. MAKE SURE YOU TAKE A LOOK AT THE FERRY SCHEDULE BEFORE DEPARTING SO THAT YOU DON’T WASTE YOUR TIME WAITING AT THE DOCK!! Carlos is the owner of Aquarius Fishing. He is one heck of a nice guy and has been leading fishing tours for around 27 years! Needless to say, he knows fishing! I didn’t actually talk to the people at Pesca Maya, but their prices are a little more expensive ($430 USD per boat PLUS $110 for transportation to/from your resort). If it were me, I would go with Carlos at Aquarius Fishing. 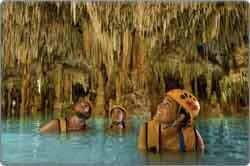 Then, if you have the time/money, you can take a longer excursion with Pesca Maya. 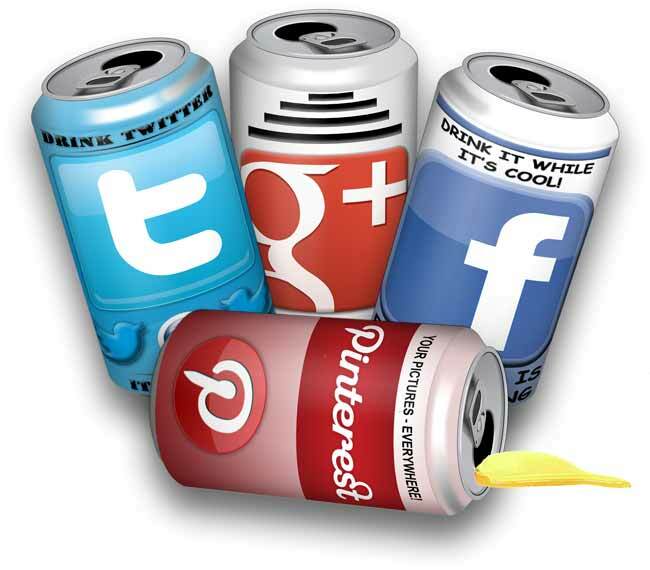 Don’t forget to give me a “Like” on Facebook! Take care, and send me some pictures of all the fish you catch!!! I’ll put them on this page!!! Thanks for all your help, it really is greatly appreciated!!!!! I will be in contact with Carlos and see what we can sort out. 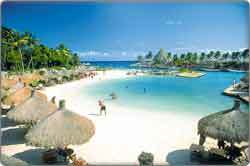 We have also been thinking about some possible trips that we can do while we are staying at the Iberostar Quetzal. We stayed at the Grand Sirenis 5 years ago and visited Chichen Itza and Xel Ha. We are both very interested in both wildlife and conservation, so trips encompassing these would be great for us. We had thought of Punta Laguna, Isla Contoy and Sian Kaan. Have you get any ideas, your help would be very greatly appreciated. It sounds like you’ve already visited some of the popular destinations in the area. One place I did not see on the list is Holbox (pronunciation: HOLE•bosh). A lot of people really rave about it after visiting. I would investigate that first. I think it embodies conservation, the outdoors, and some tranquil sightseeing. Bacalar is another very popular area that is something like a reserve. I would search for it online. It’s a favorite among those who want to get away from the crowds. Alternatively, Belize is a different option. It’s not that far away, English is the official language, and everyone at the office will be even more jealous when you tell them you visited not one but TWO countries. 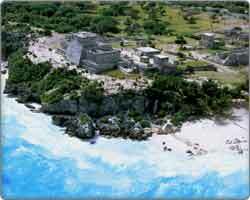 Of course you can check out some of the other X-Parks as well (Xcaret, Xenotes, Xplor, etc…). You may want to try Coba, too. 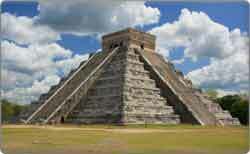 Some people like it more than Chichen Itza. Many thanks for your suggestions, we will investigate them. We are looking forward to a great holiday, with some great snorkelling again and more fabulous photographic opportunities (another of our interests). In all honesty, I have never gone fly fishing in my life! However, I have done a lot of fishing. I grew up in the state of Minnesota – the “Land of 10,000 Lakes.” Needless to say, fishing is a very popular pastime there and something that many people do every weekend in the summer – and even go ice fishing in the winter. Because I was curious about catching fish off the shore and docks here in Playa del Carmen, I decided to buy a fishing pole. I thought it would get me out of my apartment, give me a break from working on this website, and give me the opportunity to meet some of the local fishermen around town. However, what I quickly found out is that there was not much to catch off the shore. I went fishing around four or five times – and caught absolutely nothing! Consequently, I wouldn’t be surprised if you had the same experience. I know that most of the fly fishing is done in very specific areas that are quite different from the shore line. Despite this, Puerto Morelos is a different area with a different environment. There may be some small bays and inlets that you can catch some fish with your fly fishing equipment. I’m really not sure. But, if you do decide to go on a fly fishing excursion, at least you would have your own rod and reel that you are comfortable with. Obviously the choice is up to you. 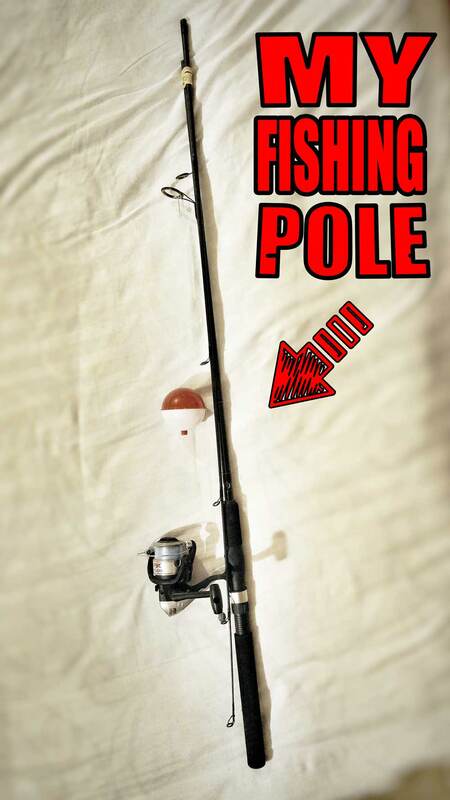 Below you can see a picture of the rod and reel that I bought here. It has never caught a fish yet! Thanx Rufus…. I let you know how it goes. I am heading to Playa March 3rd, found your page in my searches. I have reached out to Carlos, (3 days ago) but have not heard anything back from him. Are there any other guides or outfits that you could suggest? It’s getting closer to the date and I just want to make sure I lock something down. Thanks for putting this page together and providing great info. Oh and I should state that I would like to fly fish. First of all, thank you for visiting my site. Also, thank you for the comment. I contacted Carlos by phone today. He’s been very busy, but he said he did not receive a message from you. Carlos is the most experienced in the area, so I usually have a hard time sending visitors to others knowing that I’m not sending them to the best. I’m sure that Carlos can keep a spot for you once you get in contact with him. I look forward to hearing how your fishing trip goes! 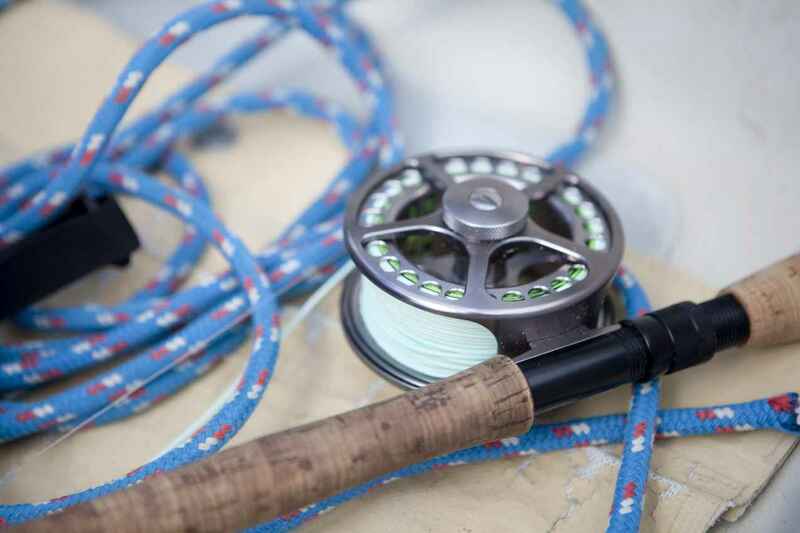 If you would like information about fly fishing in Playa Del Carmen, it is best to fill out the form in the middle of this page. All information goes to Carlos, who is an expert in this area. Moreover, my Spanish is very poor, so I don’t completely understand your question. Again, it is best to fill out the form in the middle of this page to get your questions about fly fishing answered. I e-mailed you the other day regarding trying to sort out some fly fishing whilst I was visiting Mexico next month. Can you help, as I really want to get things booked before I arrive on 23 January. I resent your info to Carlos. Apparently he missed it the first time around. He mentioned that he talked to you shortly thereafter. 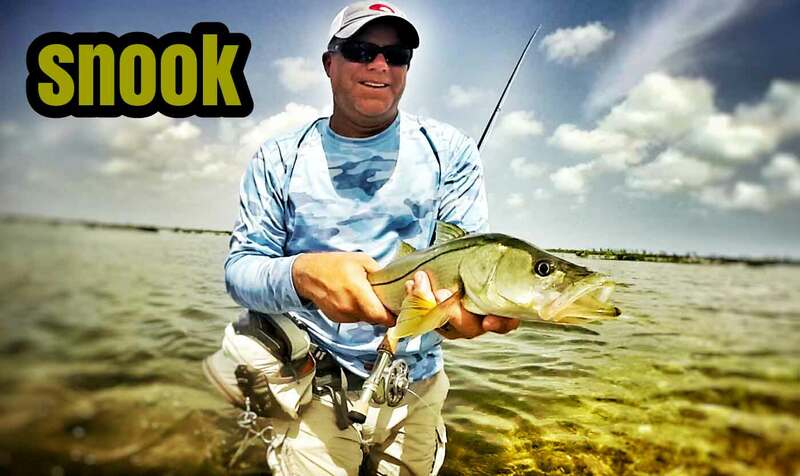 The man holding the snook on your website is Joe Herron from Castaway Fly Fishing. He works with Carlos and can be found in a lot of their videos. I think he is known as the Fishing Gringo in Cozumel. Thanks so much for the info!!! Carlos knows them all!! Nice fishing pole, Rufus. I tried basically the same thing and didn’t have any luck either. Maybe it was just a bad day. Don’t know. Thanks for the info. You’re welcome. I agree. Fishing off the shore is not s good as it sounds. Plus if you lose your hook, you’re going to feel damn guilty about it not knowing if someone might step on it with bare feet in the future…OUCH!!!! Forwarded your request to Carlos. Hi sirs I am a fly angler from Italy… I will spend a week in playa do carmen next 11 of March And I would like to have a full day bone fishing how is the best way to arrange it?? Best way is to contact Carlos using the form above. However, I will forward your info to him now.